Indonesia hosted the Pacific Chiefs of Armies meeting in Bali in mid-September as part of broader US and regional efforts to enhance mutual understanding among countries, and to nudge China to pursue its aspirations within a framework of the mutually accepted norms and rules regulating international relations. Both Indonesia and Australia benefit from China’s dynamic economy and its commitment to solving the common problems of mankind, especially in preserving the natural environment, combatting epidemics, curbing transnational crime, and countering terrorism. However, there are also unsettling signs that China is escalating the threat and use of force to settle sovereignty disputes. Given the uncertain direction of Chinese policy, no country seeks to foreclose the avenues for China’s peaceful assertion of regional leadership but all aspire to maintain the capacity—either alone or with others—to deter the threat or use of force against their accepted sovereign rights and the established norms of international relations. Despite China’s actual and great potential power there are rivals who could in combination restrain its unilateralism if pushed too far. Those include the US, Japan, India, Southeast Asia and Australia. Even current Chinese allies or sympathisers, such as Russia, could change their course if China’s assertiveness against others exposed their vulnerabilities. ASEAN is one obvious grouping to provide a counterbalance to China’s assertiveness but its combined weight represents only one third of that of China’s 2014 GDP. Adding the combined weight of Australia and New Zealand makes little difference. Moreover, China’s claim to sovereignty over the South China Sea drives a symbolic dagger into the heart Southeast Asia and ASEAN. So while Indonesia is the largest member of ASEAN, representing 43% of its GDP in 2014, and straddles the straits between the Indian and Pacific oceans, it isn’t the undisputed leader of ASEAN. ASEAN is not, and is unlikely to become, a defence alliance. Consequently, any concerted action by ASEAN or part thereof would need external support. Nevertheless, Indonesia is determined to maintain the formal policy of non-alignment for domestic political reasons. Non-alignment also serves to uphold the unity of ASEAN and maximise Indonesia’s leadership authority within and between ASEAN and its interlocutors. Therefore, unless its sovereignty or other non-negotiable interests are directly threatened, it’s unlikely to seek concrete alliances. Consequently, Indonesia’s strategic associations will be informal, contingent, and temporary—and will give priority to the major powers. 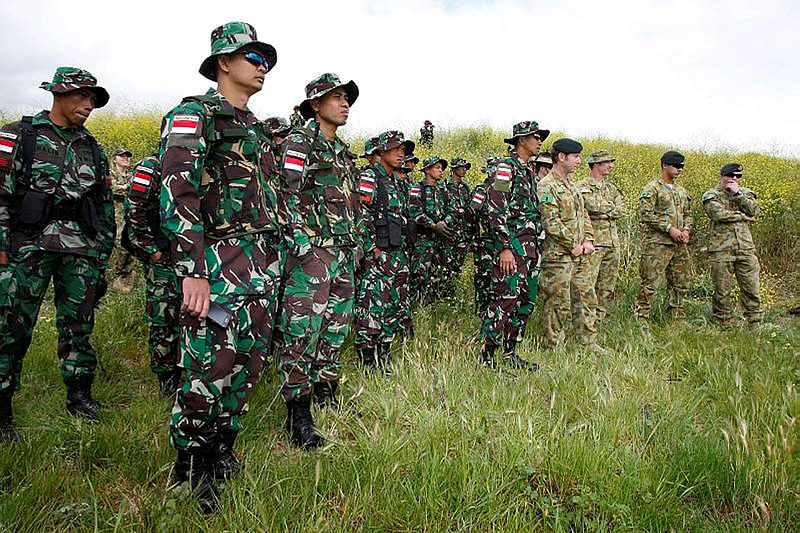 The core difference between Indonesian and Australian strategy is that Indonesian strategy is based on the ability to resort to guerrilla warfare and protracted struggle should foreign forces invade all or part of the archipelago. Australian strategy at that level of threat is dependent on external support. However, despite their own best efforts, both would need external support for defence against, or liberation from, the threat of invasion. It can contribute to managing ongoing security and transnational crime issues. 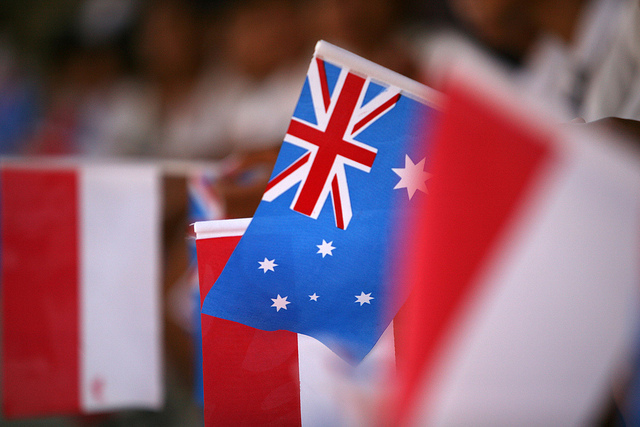 Consequently, Australia shouldn’t try to push Indonesia into relationships and activities that would compromise its perceived foreign policy orientation, priorities and functions. It should seek to support Indonesia’s regional leadership role in resolving disputes within ASEAN and in working with other international actors to moderate China’s regional ambitions. Australia should continue to work closely with Indonesia on matters of current direct mutual concern such as maritime security, control of air space, and transnational crime. However, on defence matters it should avoid forms of cooperation that might imply alliance. Rather it should seek to build interoperability that would allow the two forces to work effectively together at all levels should contingencies arise that demand closer political cooperation between the two countries. While good personal relations facilitate cooperation, they should arise through commitment to concrete activities that enhance mutual defence ties and the capacity for combined operations especially in the air and maritime environments. Given its large population, Indonesia can provide all the land forces it needs, but cooperation might still be needed between the armies at lower levels of conflict, such as counter-terrorism in shared spaces and disaster relief, or in securing air and maritime bases at higher threat levels. Symbolic gestures should be minimised and cooperation must be focused on the building blocks of combined operations starting with strengthening ministerial discussions, encouraging debate in the broader defence community (parliament, academe, and the press), and periodic reviews of the strategic environment, together with cooperation in humanitarian assistance and disaster management. None of this is new, but regular reviews of the ground rules can ensure that cooperation is founded on the defence priorities of both parties and that we don’t waste time and resources on activities that aren’t of genuine mutual interest to either Australia or Indonesia. Bob Lowry is an adjunct lecturer at the UNSW Canberra, Australian Defence Force Academy. Image courtesy of Flickr user Department of Defence.